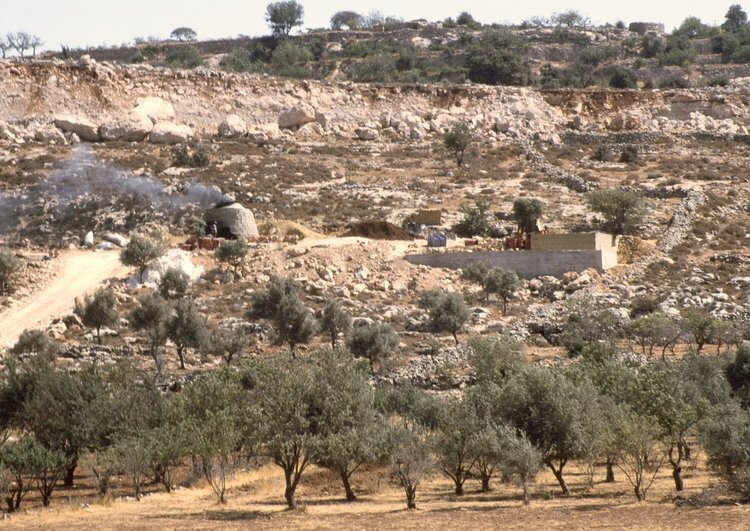 Driving through the Judean Hills near Hebron (al-Khalil), Palestine, I pass a ceramic kiln in operation. Black smoke chugs out the top. Good eyes will pick up the vessels standing on the driveway and the operator tending the fire. From the look of it, this is new operation. The kiln is unsullied and what may be a future workshop is being constructed nearby. Pottery production has always been a dirty business. For this reason, installations seem to be located near, but not in the middle of urban areas. This may explain why finding ancient ancient kilns is a rare occurrence. Of course, there are exceptions . . .